JHANG: Thousands of litres oil was spilled when an oil tanker overturned due to reckless driving here on Monday. 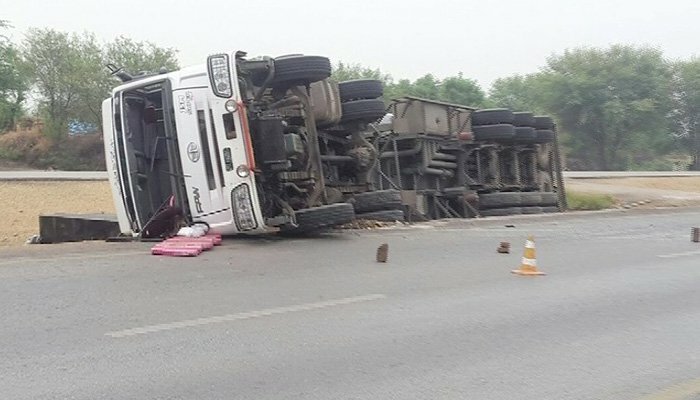 Rescue sources said that an oil tanker with over 40,000-liter diesel turned turtle due to over speeding at Gojra Road Bypass in Jhang. Thousands of litres oil was spoiled while two, including driver and a helper, were injured in the accident. The police closed all routes leading to the site of the accident and launched the rescue operation.